It is a single EXE that does not need an install. Great little utility, as always. Got a question. On my 2003 box it is giving me an error that it is missing a DLL named “wlanapi.dll”. How can I get it to work? This is because MS never included the wireless management API with 2003….and I don’t think they ever plan to. Very good utility, easy to install and easy to use. But I have one question, why do I see my network twice ? This is a bug in the API. Looks like other developers get around this by making sure only unique SSIDs show up on the list. We don’t want to do that since you might want to see both when there really is two. We are looking for a way to pull the MAC address of the network…that way we will know if it is the same one. 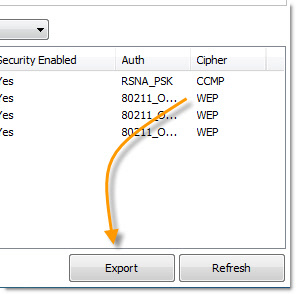 This new version will also show you the MAC address of the AP. Thanks for taking the time to let us know about this – really appreciate it. This is a very cool application. You guys always come up with some cool things. Have you ever thought about adding all of these as side additions to the Intelli-Administrator ? I know you add some of them, but why not add all of the ones you make ? Awesome tool! Thank you for creating this! We are working on it. In fact almost every one of these tools has this in mind. The problem right now is the execution engine, and some of the plugin systems within Network Administrator are quite limited – so we need to resolve that first. Keep an eye on our blog for updates…or just sign up for the newsletter and you will get notified when it happens. Thank you very much. Never seen such a fast customer service. I like the “New and Improved” version. Whether I find them useful for my specific purposes or not, I can’t help to appreciate your hard work and time invested on this amazing tools. Steve, Thanks so much for the WiFi Strenght utility, it is great and just what the doctor ordered. I didn’t think anyone was looking at or taking any actions on the emails sent. I will share this and your site with my co-workers. I live in a crowded high rise building. Thare are many wireless routers operating. Beside the wireless strength, it would be nice to know which frequency and which channel each of them is using. This is so that I can find a non-overlapping channel to avoid conflict and get better throughput performance. 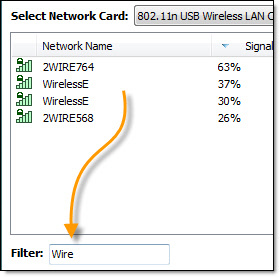 When I run program, it shows only one router and network icon program on XP laptop computer shows 7 wireless routers in range. Refresh does not help. Only one card. Why? Great utility that gives great information! However, is there a way to log the signal strength over time? We have some interference in one area of our office suite and I would like to track how signal strength is impacted over a period of time. Thanks for your hard work! That is a great question. We will look into this for the next version. Tried to download your wireless signal strength meter for Windows unsuccessfully. Entered name and email address. Clicked Download. Page opened that said I’d receive download shortly. No download. Send us an email at support@intelliadmin.com and I will get you a direct link. This is a very useful little utility, but I do have one question. I see two wireless links (which is correct) one is 100%, the other 76%. My question: a percentage of what? That is the signal strength. It would be the same when you see the wireless icon….5 bars = 100%…so now thinking about it…it might be better to show a strength meter instead of an actual percentage. Yes – a proper strength meter would be more useful. I just download the Signal Strength Meter again today. It shows all fields as blank on my Vista machine but correctly shows the network on my Windows 7 machine. I know that this did work at one point and wonder if you have any suggestions. Regarding the above – about two months ago I hardwired the Vista machine to my router – thus no wireless signal. My EXTERNAL “Intel Advanced N 6250 AGN Adapter” does not. Not much we can do about it. It probably is because the external adapter is not supported by the MS Wi-Fi API that allows us to get this info. Is it possible to run this app from an iphone? No it is windows only. It would be nice to have an app like that for the iPhone. Not sure if the Apple store would allow it since I think you need raw access to the wireless interface on the iPhone. I was able to download the file from the link sent by your automatic email by striping off the access code. How do I convert the signal strength % to a real unit such as dB and get other signal quality info such as S/N similar to what I get from netstumbler. Knowing the data rate of the connection would be helpful if that is the best that can be done. I am here because netstumbler does not work with the WiFi adapter I have and some type of signal quality indication is needed. I also notice that your display does not include all of the observations seen by clicking on the signal strength indicator in the windows task bar and that while you show a %, it is VERY coarsely graduated. NO GOOD for aligning or evaluating an antenna.. 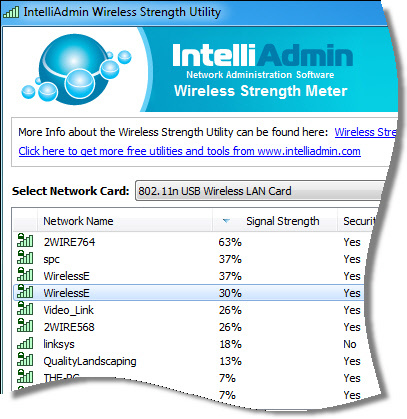 Curious if the Wireless Strength program could display dB as well as percentage? Thank you downloaded and installed fine. I have 3 network cards. All 802.11n USB wireless Lan cards. This version should have a 2015 build number on it…so verify that it does. I tested it on a machine with two wireless cards and it does look like the issue is fixed.